← The autumn rain has arrived – finally! Customs and celebrations to honour the end of the harvest, the change of the seasons and the passage of life into death come together in many traditions celebrated at this time of the year. 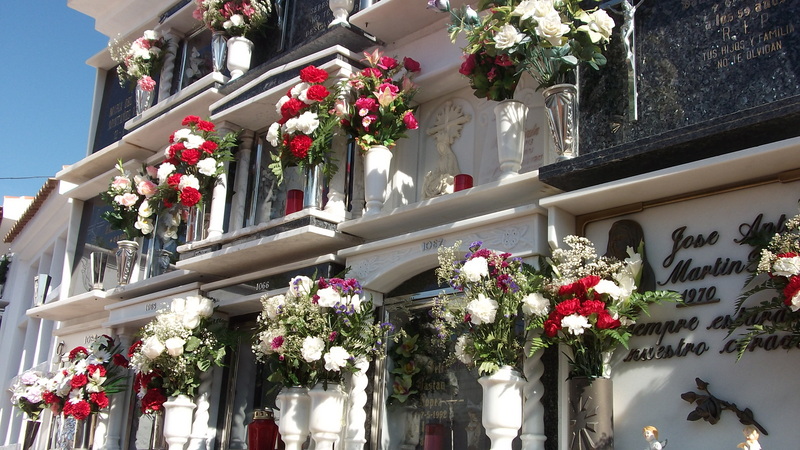 The festival of Todos los Santos, sometimes shortened to Tosantos (All Saints´ day) is celebrated throughout Spain as a national holiday on November 1st each year. Although the American-style “ghosts and ghouls” type of Halloween is now beginning to creep into the Spanish calendar each year, traditionally this time is celebrated here in a different form, as “El Día de los Muertos” or the “Day of the Dead” . 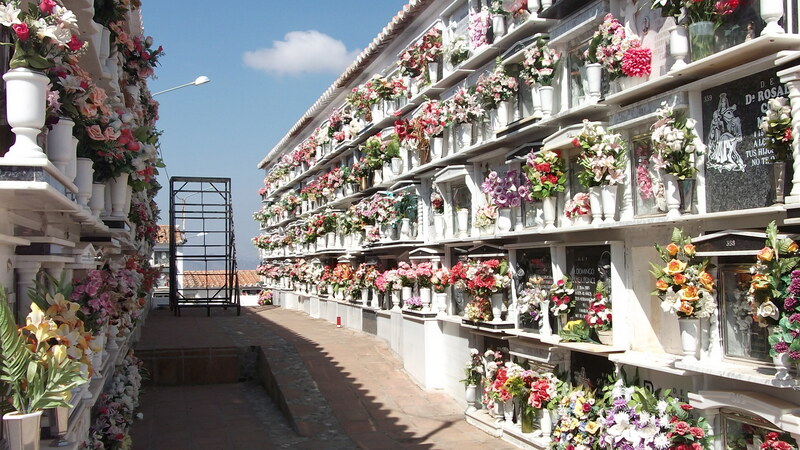 The three-day event, beginning on the night of October 31 and ending on November 2 (All Souls´ day) sees cemeteries packed with families paying homage to their dead. 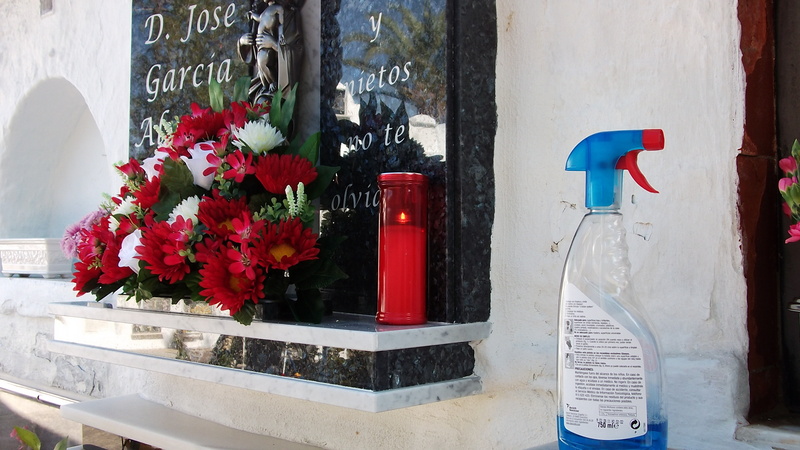 Family members tend the gravestones of their loved ones by weeding and cleaning them and by placing fresh flowers and candles. 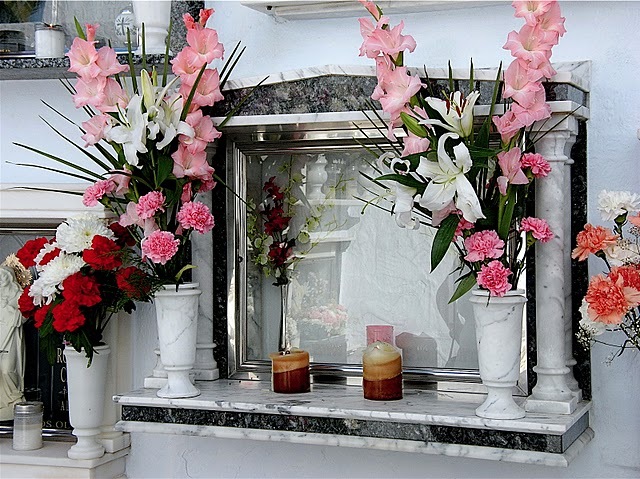 We visited our local cemetery this morning and apart from the sheer number of people, the first thing that stuck me was the overwhelming fragrance of fresh flowers. 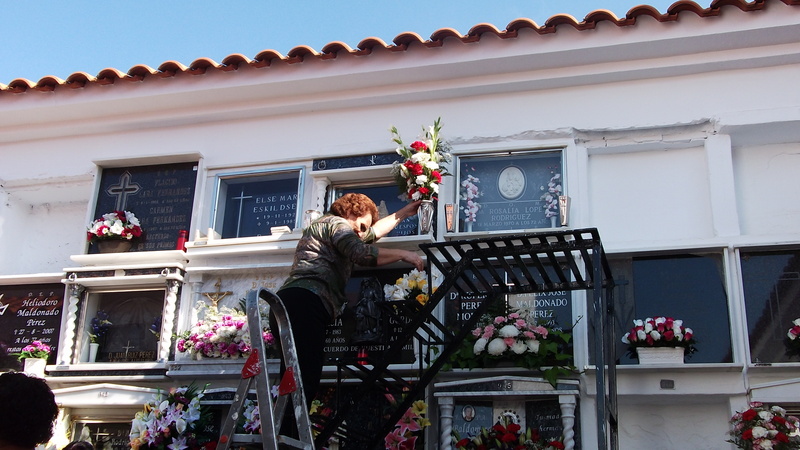 Families of all ages were arriving carrying vases, buckets, bottles of water, cleaning items, candles and armsful of flowers. The atmosphere was not solemn and the sound of chatter was everywhere, with people greeting each other with kisses and hugs. Each member of the family played their part in the cleaning and tending of the grave and, when they were finally satisfied, they wandered around the cemetery before leaving. 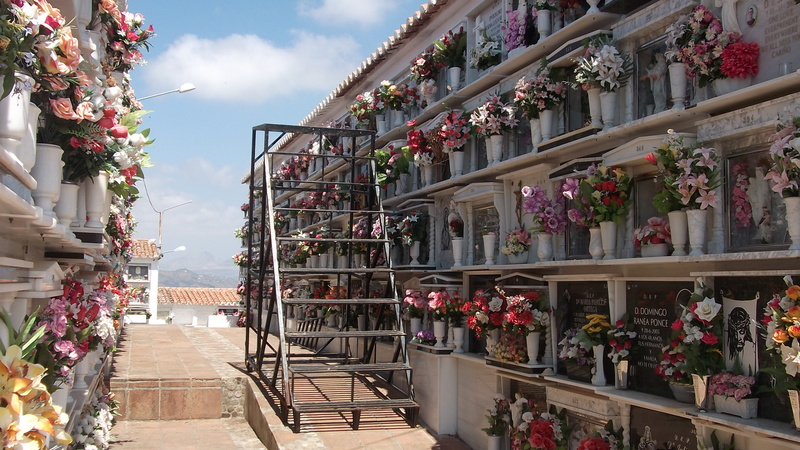 What I particularly like about this lovely Spanish tradition is that all of the frightening aspects of the afterlife are taken out of it. This is a commemoration for loved ones with nothing ghoulish or scary involved. This entry was tagged El Dia de los Muertos, Todos Los Santos. Bookmark the permalink.